Terror in Resonance has been an interesting work. Being directed by Shinichiro Watanabe, famed for Kids on the Slope and Cowboy Bebop, the series was hyped from the very second it was revealed. The first episode kicked off with a bang and I fell in love with it right from the off, as you can see in my review of the first couple of episodes where I went as far as to call it Shinichiro’s next big hit. After finishing the series my opinion hasn’t changed and the only thing that has is the passion and love I hold for the show, and here’s why. 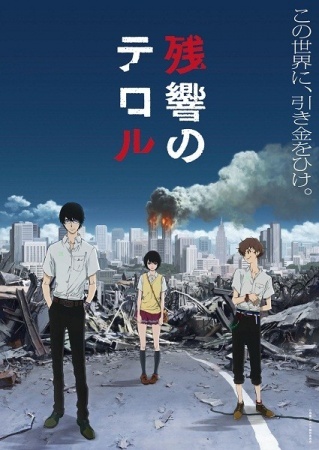 This entry was posted in Anime, Anime Reviews, Reviews and tagged Anime, reviews, Shinichiro Watanabe, Terror in Resonance, Zankyo no Teroru, Zankyo No Terror on 25th September 2014 by Demelza Ward.